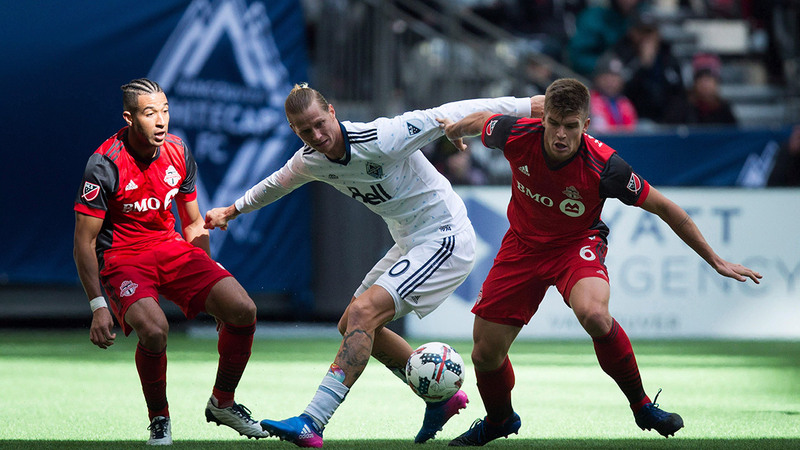 Every Thursday/Friday, Sportsnet.ca will chat with Sportsnet 650 radio commentator Dan Riccio about the big stories and issues surrounding the Vancouver Whitecaps. SN: What did you make of Vancouver’s comeback in last week’s 2-2 draw away to FC Dallas? RICCIO: The Whitecaps were very lucky to walk away with a point in Texas. You could replay that match 100 times over at 2-0 down, and the Whitecaps likely wouldn’t complete the miraculous comeback again. Now, good on them for continuing to fight and not just play out the string, but this isn’t sustainable. They’ve now allowed the first goal in nine of the 13 matches they’ve played this season. In those games, they have just one victory. It isn’t hard to figure out why this Vancouver team is struggling to collect wins and valuable points. A few weeks ago you called Anthony Blondell the Whitecaps’ “X-Factor,” but also said you’d like to see more from him. What have you made of the Venezuelan’s play since then? Unfortunately, the return of Kei Kamara to full fitness has diminished Anthony Blondell’s role and opportunities. He’s been an intriguing option in attack, but it is difficult to see how coach Carl Robinson fits both Blondell and Kamara on the field together. Robbo has no reason to try and force it, since Blondell couldn’t convert the many scoring chances he had while getting the bulk of the playing time. The lack of polish in his game has continued to haunt him, and until he cleans that up it will be an issue. What does Jake Nerwinski have to do to win back the job as Vancouver’s starting right fullback? It’s a bit surprising that Jake has had less playing time of late. He’s largely been the same player he was last season when he earned a spot into the squad and almost reached 2000 minutes as a rookie, which doesn’t happen often in this league. Sean Franklin hasn’t been the answer for the Whitecaps at right back, so it really is only a matter of time until Jake finds his way back into the starting 11. This should be a good lesson for a young player who may just need a reminder that his spot in the eleven isn’t guaranteed. Brek Shea is someone who comes in for a lot of criticism from fans and media. Is that fair? What, if anything, does he bring to the table for the Whitecaps? Brek is always going to be a polarizing figure where ever he plays. It’s reached a boiling point here in Vancouver because he is one of the club’s two designated players. How many teams in MLS have a DP that doesn’t regularly start? He is being utilized as a super-sub despite being one of the highest paid players on the team, but he has looked decent this year as the Whitecaps’ second leading scorer. For that reason alone, I think the criticism has been overstated. What things will you be looking for in Saturday’s home game against the New England Revolution? It will be Kendall Waston’s final match before leaving for the World Cup, which will leave an already struggling defence shorthanded for the coming weeks. It isn’t a must-win for the ‘Caps by any stretch of the imagination, but you can tell the players are starting to feel the pressure of having just two wins in their last 11 MLS matches. I expect to see a desperate performance from Vancouver on Saturday because a win will go a long way to shoring up their confidence as they head into the summer months.